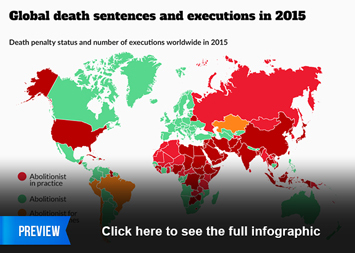 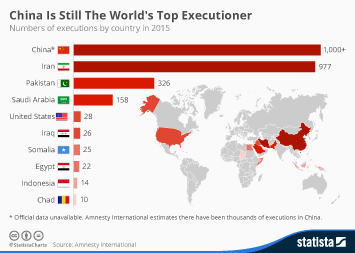 Amnesty International has released new data showing that the number of executions recorded worldwide fell by 31 percent in 2018. 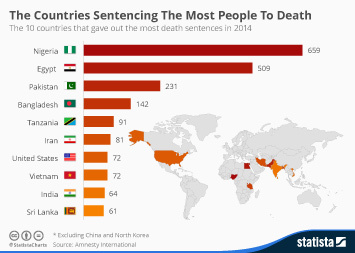 Excluding China, 690 people are known to have been executed in 2018, the lowest figure in more than a decade. 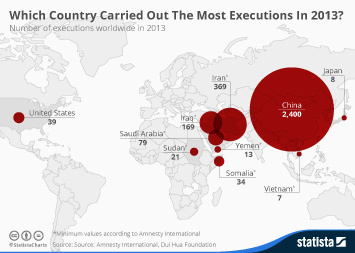 Amnesty said that thousands of people are believed to have been put to death in China but records are kept secret. 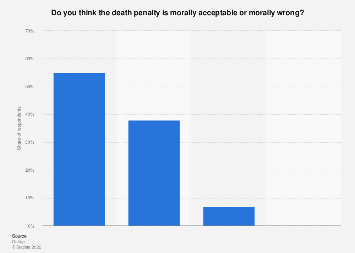 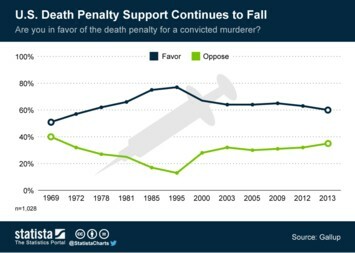 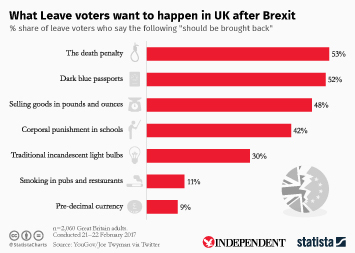 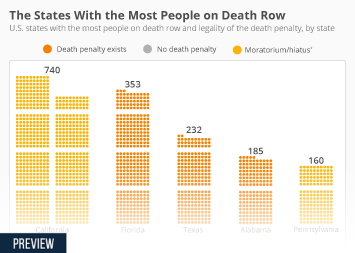 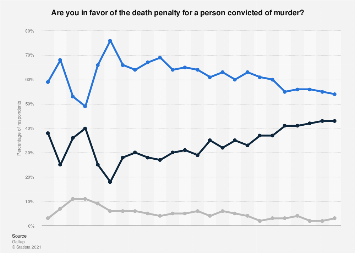 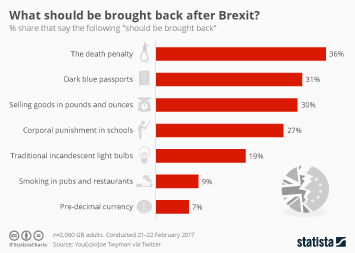 The reason for the decline in executions can be attributed to a significant reduction in the world's top countries using the death penalty. 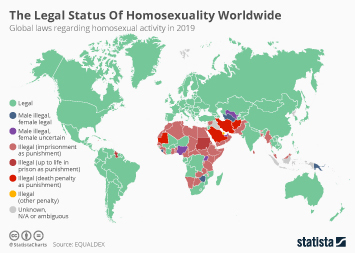 Noticeable falls were seen in Iran, Iraq and Pakistan, for example Despite that fall, however, it wasn't all good news. 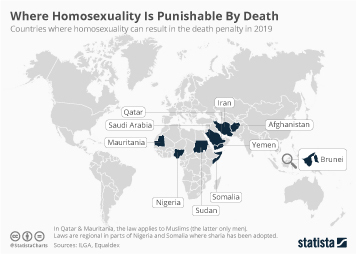 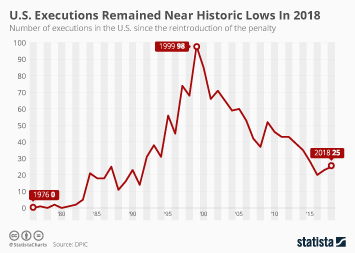 Some countries bucked the trend with Thailand carrying out its first execution since 2009 and several other countries reporting increases in their yearly totals such as Belarus, Japan, Singapore, South Sudan and the United States. 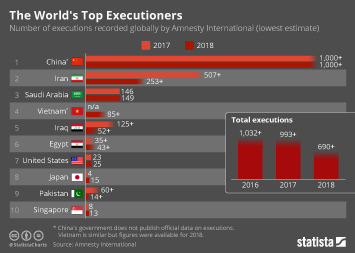 This chart shows executions recorded by Amnesty International worldwide (2009-2018).